Fresh from the Beach Pit! 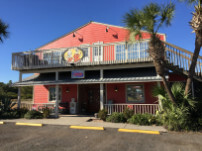 Over 25 years experience combined with Texas style BBQ, fresh seafood, and a menu designed to please everyone in the family, The Beach Pit has brought a fresh taste to St. George Island. The dining ambiance is pleasantly casual and intimate,with seating available in a charming interior setting or enjoy outdoor seating in our “pet friendly” screened in patio. So come join us while on St. George Island and try our famous BBQ or enjoy some fresh Apalachicola Bay oysters and one of our draft beers we have on tap. We put our own spin on the official pie of the State of Florida, you must try it - you won't be disappointed! 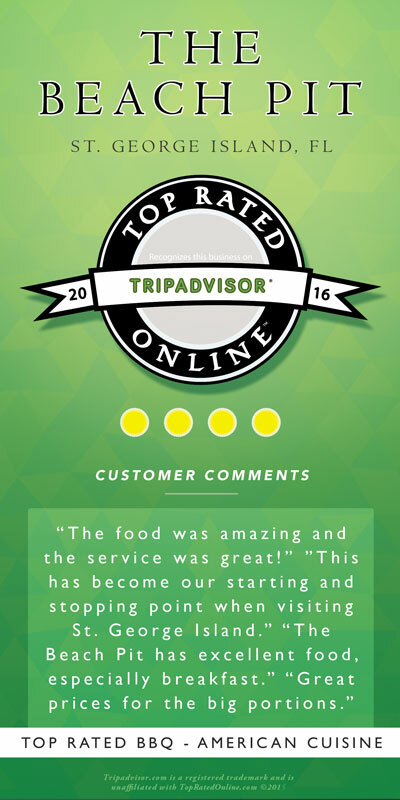 Served raw on the half shell or specialty recipes prepared with scrumptious toppings. Bring in your ready to cook fresh catch, that has been cleaned, filleted and kept on ice and we will cook it up. You hook it, we cook it!